But growing your following on Instagram can be frustrating and time-consuming for a lot of bloggers. Social media algorithms change regularly and force us to adapt our growth strategies. People might follow us one day and unfollow us the next, making the entire process a bit aggravating. But this whole Instagram-growth thing can really work out for your benefit if you adjust your thinking and make a few tweaks to your strategy. This post probably contains affiliate links. You can read my full affiliate disclosure here. Today, I’m going to share my best Instagram tips to help you grow your Instagram account. I had about 900 followers on my account when I first got serious about blogging last year. The idea of gaining new “followers” was not appealing to me at the time, but I had to adjust my thinking. Instagram is a huge platform with millions of potential viewers, followers, readers, and clients. 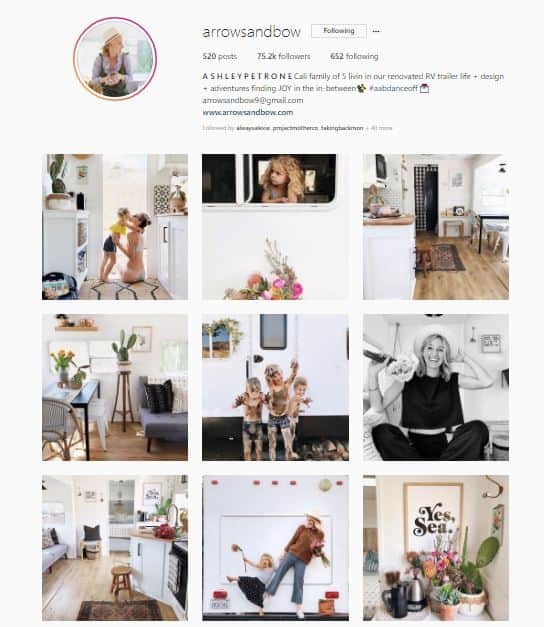 If you want a great avenue to find and connect with people that fit into your niche, Instagram is a good place to start! And if you want to work with brands, you need to have an Instagram account and an engaged audience of followers. Your audience doesn’t need to be HUGE in the beginning, but it needs to be existent. To get started working with brands, check out this article. When I realized how important it is to build real relationships with people that NEED the value and the expertise that I’m offering, it made me feel sooo much better about growing my following on Instagram! And here is my Instagram account now: over 10,000 followers and 200 email subscribers directly from Instagram. Before we get started, I just want to reaffirm the fact that followers are NOT everything. It’s better to have a small following of super loyal fans that love you and your work, than to have 100,000 followers who are unaffected by your presence and your mission. Don’t let the numbers discourage you. We’re trying to build a loyal audience of potential readers and clients, not a huge following of strangers that never read our stuff or buy from us. Now, let’s get to the good stuff. Here are my best tips for helping you grow your Instagram and build a loyal audience. Don’t overcomplicate things on Instagram. People like simple. Make sure your message is clear in each picture that you post. You want people to know what to expect when they follow your page. So, let them know in simple terms and easy-to-read images. Keep your pictures clear, because clutter and chaos are not aesthetically pleasing. Keep your colors bright, because dark and dingy is not appealing either. That doesn’t mean that you have to post the same protein shake or gym selfie every single day. Nope. It’s good to have a few different things that draw people to you, but they should all tie into the concept of who you are as a blogger or business owner. As an example, I love the beach, playing with my kids, writing on my blog, and eating tacos. When you come to my feed, you’ll see some variation of these concepts…because that is genuinely what I LOVE! But the entire layout of my feed, my bio, my pictures…it’s all very simple. Nothing too complex on Instagram. As readers and followers, we like bright pretty pictures and inspiring captions…and that’s it. You can keep the equipment simple too. You might think that you need a bunch of photography equipment and props and perfect lighting, but you just DON’T. I take most of my photos with my iPhone…seriously. It’s okay to keep things simple. When you’re ready to upgrade your Instagram game, you can invest in a nice camera and some editing software, but that’s just not necessary in the early days of growth. People connect with people who are genuine. If you’re funny, be funny. If you’re quirky, be quirky. I can’t even tell you how many people I have grown to adore on Instagram because of their quirky nature…or their sense of humor…or their deep love for donuts. Be who you are. Let that shine through to the people that come across your profile. #realtalk: I’m not all that funny, and I know I’m not. I don’t try to be funny on my Instagram account, because it just wouldn’t feel right or sound right. It’s not me. I’m more of an emotional, realistic, introverted type of girl. And that is okay! Your Instagram feed should have a consistent look and feel. This brings us back to that common thought that you should have a niche market (and you should)! Your ideal follower should feel inspired or motivated by the first few images and captions on your Instagram account. They should know what to expect from you when they check out your feed. Those first 6-9 photos in your feed should be telling a genuine story about you and your brand. Here are a few examples of some beautiful Instagram feeds that I love. Notice the clean, bright feel of each account. With just a quick glance, you know exactly what you can expect from their account if you follow them. You don’t HAVE TO post something the moment that you take the picture. Most of the time, our social media accounts are part of our business and marketing strategy, so there should be a systematic approach to most of the things we post. This isn’t the same as sharing photos on your personal accounts for your own family and friends. When we’re working to GROW as business owners and social media influencers, we have to follow a methodology for success. I grew to over 10,000 followers in just one year, because I decided to start posting content strategically. Posting content that my readers and followers want to see. I’m no longer just posting content on a whim whenever I feel like it. And it makes a huuuuuge difference. You can use a free app like the Preview app to organize your photos and make a clean grid for uploading to Instagram. You can also use a scheduling tool like Tailwind to schedule posts to Instagram. You only have a few seconds to catch the attention of a new person that is looking at your Instagram profile. We don’t need to attract every person that clicks on our profile, we just need to attract the right kind of person. Our ideal reader, follower, client, etc. So, use those few short lines to capture the attention of your ideal reader or follower. If your ideal reader is a mother, make sure your bio says something about motherhood. If your ideal reader is a college student, make it clear that your content/feed is for college students. And if your ideal reader needs a copywriter or editor, use your bio space to make your services clear. Don’t just lay out a list of boring facts and credentials though! Be yourself. Remember to be YOU (quirky, silly, sarcastic), and show off your true colors. Use me as an example: I want my bio to show off the laid-back beachy lifestyle I live as a San Diego mama blogger. But I also want people to know that I love TACOS! Yes, tacos are a big deal in my life! Here’s another look at my bio, for reference. Be yourself. Add some character and color to your bio. Make it stand out! You should also have a link in the website section of your bio. This is your one chance on Instagram to connect with someone who is clicking with you and wants to continue some sort of relationship! You can link to your website, link to an opt-in freebie, link to a giveaway, link to a specific article. Just make sure that you have a link in that bio section, and if that link isn’t getting traffic, change it. This is the big one, guys. When it comes to the social media game and how to grow your Instagram account, you need to play by their rules. Instagram wants you to spend time on their platform, engage with others on their platform, and use the features that they’ve designed for you. What is genuine engagement anyway? It is sincere participation in the Instagram community. That’s all it is! If you’re trying to grow your following, don’t just think about your own goals and needs. Think about other people and what they want and need from YOU. Think of your potential readers. What are some ways that you can show your sincere participation in the Instagram community? Genuine comments: Don’t just say “great post!” That’s a generic comment that means nothing to the poster. Buuuut, if you actually read their caption and say something more like “this is just what I needed to hear today. You’re so encouraging and I’m glad I came across your post today”…well, that’s a different story. That is much more personable, much more sincere. Follow people that you like: don’t get hung up on making sure that everyone follows YOU. Change your thinking. Follow accounts that move and inspire you. Use them as your motivation to give that same kind of feeling to YOUR audience. Tag people that you like: when a picture or a caption makes you think of one of your Instagram friends, tag them and let them know! If you’re wearing something or sharing something from another brand or business, tag them and let them know. Remember, Instagram favors people that actually ENGAGE with others on their platform. So, you’ll need to spend a little time each day engaging with others sincerely. I personally spend about 20-30 minutes each weekday on Instagram, and when I’m absent for more than a week, it shows in my engagement. When you’re a business owner with an Instagram strategy, you have to SHOW UP and DELIVER for your people. That’s what a good CEO does. Remember: to grow your Instagram account, you have to motivate, inspire, or entertain your ideal reader. You can’t just post a cute picture and then ghost. You need to give them something to think about, laugh about, or respond to. Let your caption speak for you long after you hit publish! Then take your reader on a journey…something they can relate to or sympathize with. And ask an engaging question at the end of your post, to get your reader involved. Instagram LOVES when your post gets a lot of likes and comments (remember the genuine engagement??). So encourage your viewer to comment. This is pretty darn self-explanatory. You NEED to use a clear profile photo that represents YOU. A touch of your brand, your style, and your personality…but mostly YOU. Yes, you need to use a picture of you, not your logo. Unless you’re a crazy famous brand like Nike, your logo doesn’t mean much to me at first glance. I would rather see your face. People connect with PEOPLE. So, show us the person behind the account. Remember how I said that Instagram likes when you use the features they designed for you? Yeah, they really like it. You need to utilize the tools that are at your hands to help you grow your Instagram account. It might feel uncomfortable at first, especially if you don’t like hitting that “live” button or putting your face on social media…BUT your readers need to see your face. Make it your goal to go live or upload content to your Instagram stories AT LEAST once each day, if not multiple times a day. The moment that I started using Instagram stories and Instagram live, my followers started to increase by the day. Instagram analytics are essential for anyone that is using Instagram to grow their blog traffic or business. The great thing about analytics: they show you when the majority of your followers are active online. Take advantage of these statistics and post when your readers are most likely to be online. If you can’t post a great picture on your grid, at the very least, add an Instagram story to your feed. I say it allll the time…I’m sorry if I sound like a broken record. You will be sooo much more successful if you have a niche market. A specific group of people that NEED what you’re offering. Think about it: if you’re posting weight loss tips for me today, pictures of your dog tomorrow, cupcakes on Sunday, religious quotes on Monday, and then paleontology facts on Tuesday…I’m going to be LOST. Stay within your niche and think about WHO you are here to serve. You can use the Instagram search bar or hashtags to help you find Instagram users in your niche market. Follow them, engage with them, help them to see that you provide incredible value and expertise in the same areas that they need help with. This is another big one, and it’s a strategy that has fared well for me. If you go to the Explore/Search section on the Instagram platform, the most popular videos/pictures will pop up. This will be based on the Instagram algorithm and will directly relate to your searches, your posts, your hashtags, and your engagement with other accounts. Find accounts that have 10K or more in your niche and engage with them…A LOT. Comment on their stuff, follow them, like them, tag them. Let them know that you admire them and their pictures. Not only will the big players take notice of your Instagram handle, but their other fans will see your supportive comments and be intrigued by you too! I used to hate hashtags. I refused to use them, and when my friends used them…I kinda threw up in my mouth a little. But the truth is: hashtags are still an effective way to help your ideal follower find you. I search hashtags alllll the time! And you need to be using hashtags on every single post. Don’t just copy and paste the same-old hashtags you always use though. Make sure that your hashtags are relevant to the post you have just made. You want to use hashtags that get searches, but aren’t sooo competitive that you could never make it into the top of the search page. Try to choose hashtags that have less than 500,000 tags. You can check the number by typing out the hashtag into your caption, and the box will autofill the hashtag with the number of other people that have used this same hashtag. 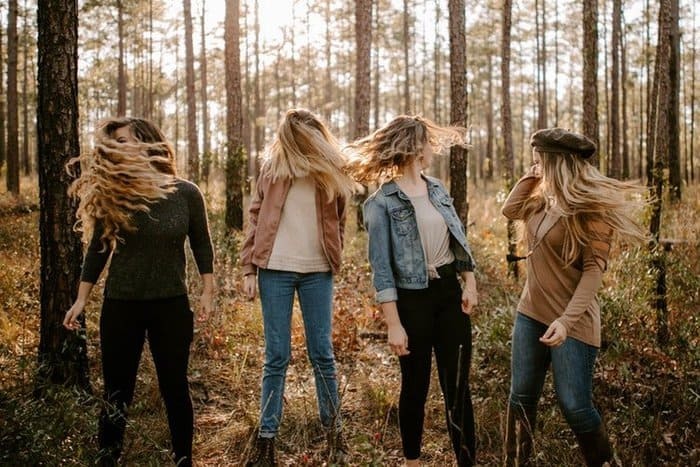 You have to be strategic with Instagram groups, because Instagram doesn’t like when you try to “beat” their algorithm with a bunch of generic engagement. However, if you find a community that loves to like, comment, and support each other’s posts, that is awesome! As long as it’s genuine, and not spammy. So, be strategic about this. You can find Instagram support groups (sometimes referred to as “pods”) on Facebook, and within the popular Instagram Posse Facebook group. 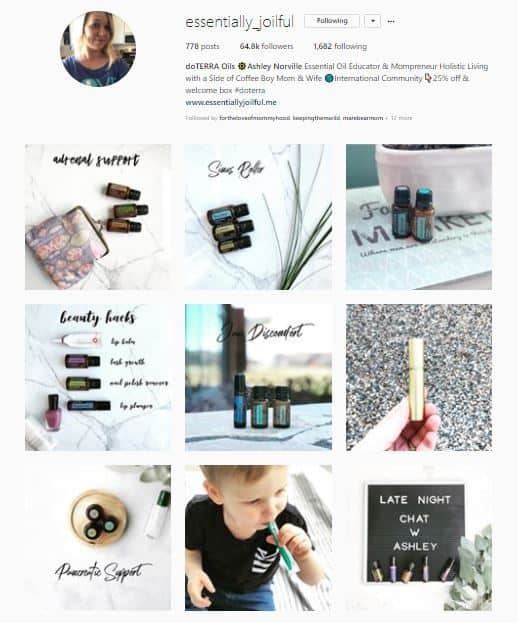 I participate in 3 Instagram engagement groups and have made some incredible connections there. We like and comment on each other’s photos, and it really boosts our following. We’re almost done here, so hang in there with me! 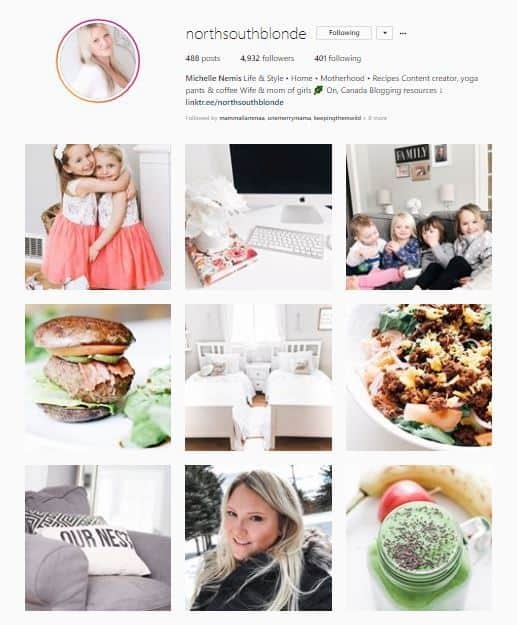 There are just a few other things that we need to address if you want to grow your Instagram account. Here’s an excellent graphic from LATER that will help you decide if you need a business account or not. 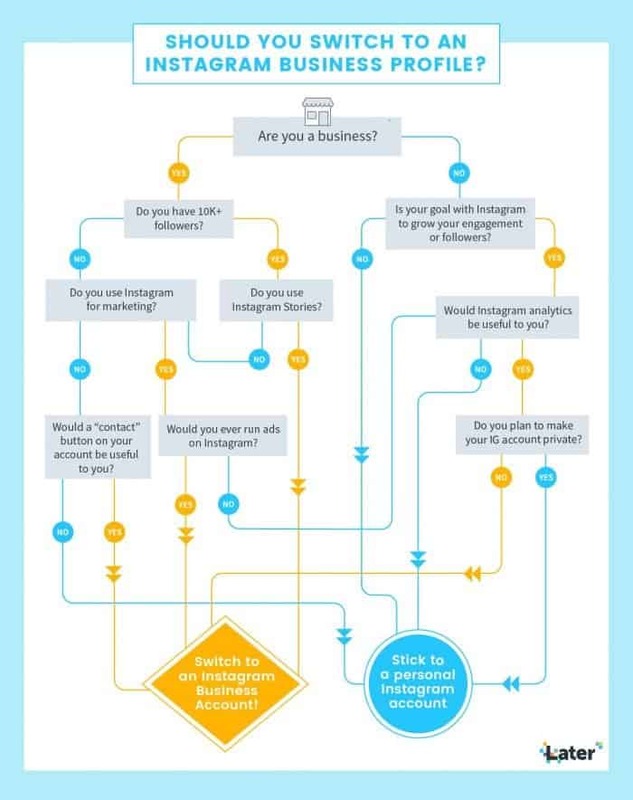 Basically, if you plan to do any kind of business or marketing on Instagram, you need a business account. It also gives you access to important analytics that will help you figure out what’s working and what isn’t. I don’t like this method and I don’t use it myself. However, there is some strategy behind the method that will help you to be less offended when it happens to you. It’s really NOT personal. Some people use automation tools that follow accounts on their behalf, just to get on your radar, and get you to check out their feed. Quite often, this leads to people following their account, which is just part of their growth strategy. They never actually see your account, they don’t intentionally unfollow your account, and they aren’t doing it as a personal attack against you. It’s an automation system, and it has nothing to do with you. People that do the follow/unfollow thing ARE NOT YOUR PEOPLE, so just ignore it and move on. I don’t recommend this method personally, because it leads to a lot of aggravation in the community and it’s a bit deceiving….BUT, it’s also a method that works for a lot of people, so I don’t judge anyone who chooses this route. It’s hard not to compare yourself to that superwomen in your feed…with her beautiful kids, clean home, and perfect body. But that’s not productive. You are perfect in your own way, and you will reach the people that need YOU for exactly who YOU are. Instagram can lead to amazing opportunities, a ton of blog traffic, and extra income through sponsored posts. And believe me, I’m nothing special. I’m just an average women. If I can find 10,000 Instagram users who believe that my content is worth looking at, you can too! So, don’t give up. Stay the course. 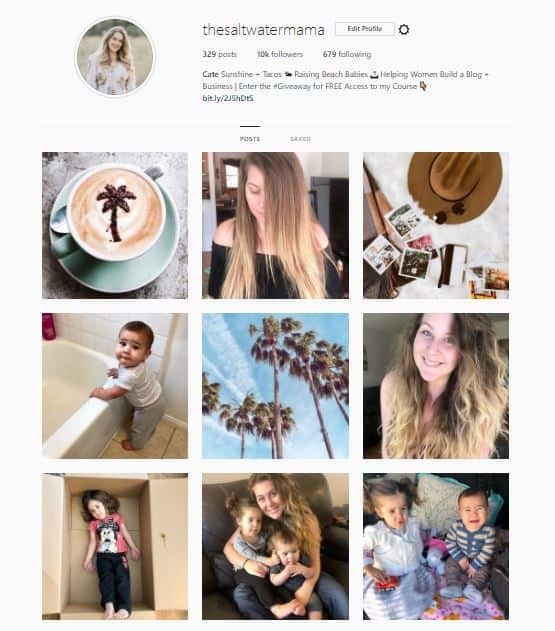 Use the growth tips that I’ve provided here today and keep working to find your ideal follower on Instagram. Now tell me! 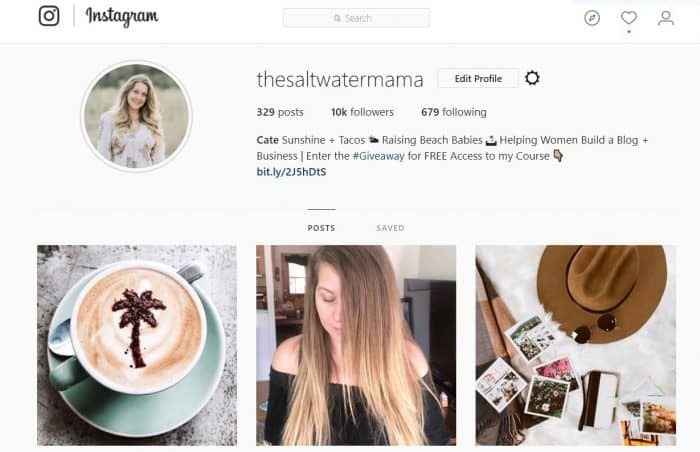 What strategies are you using to grow your Instagram account? Are you seeing success? Share in the comments! Cate, this was so helpful! My blog is less than 2 months old so growing my site and my Instagram are two things I’ve really been working on. This is by far the most planned out, makes sense, let’s do this thing kind of post I have read! Thank you! I can’t even tell you how much that means to me! I really work hard to make my posts easy to understand and implement, so it just makes my day when people can actually benefit from them. Great advice. I feel like I know most of these tips already. But it’s still so tough! I’m stuck at 700. I’m not giving up though! It does take time, there is no overnight success. I worked hard at growth/engagement for a year to get the numbers I have, and I still have to work at it every day. But I focus on creating good content and engaging with my ideal reader who NEEDS ME, and that makes the whole project much easier to manage. Hang in there girl! I’m doing all these things so clearly i just need to be patient! Yes, patience, genuine engagement, and cohesive pictures will get you there! This is done out of a sincere desire to help others. Can’t wait to try it myself and see how it’ll work for me. Thanks much!